Forget the battle royale insanity for a moment, EA and DICE are preparing to unleash Battlefield V later this year. The latest installment sets the stage during the ghastly World War II era, something that might throw off a few fans. 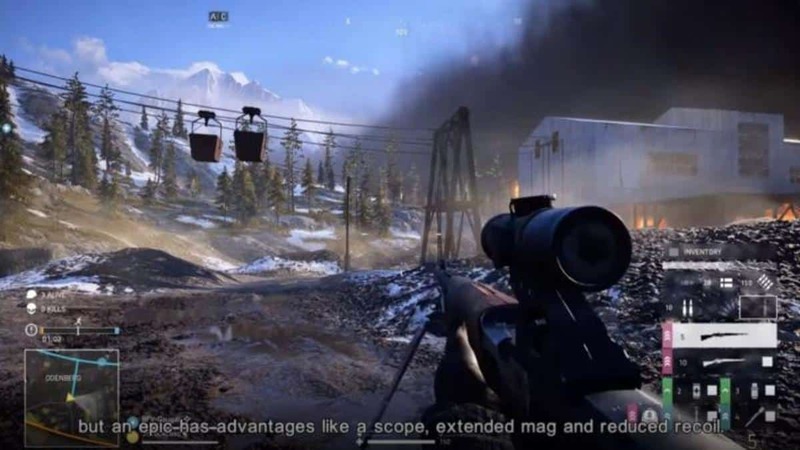 However, there are several changes and features to behold that are completely new to the long-running military-shooter franchise. 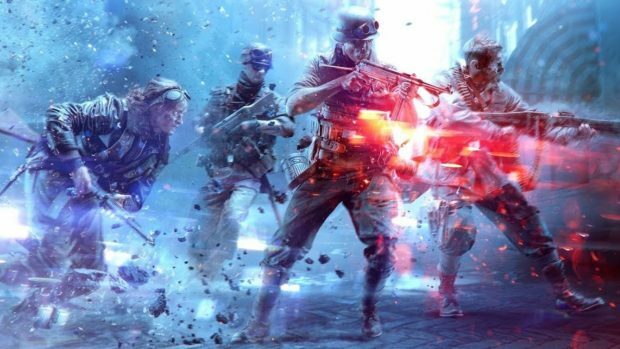 Here are six reasons why Battlefield V is an evolutionary installment that takes to new heights. Rejoice, the Premium Pass is being abandoned in favor of a live service called “Tides of War” that promises to hand out post-release content for free. This means that everyone gets access to new multiplayer maps, modes and more at the same time, all the time. 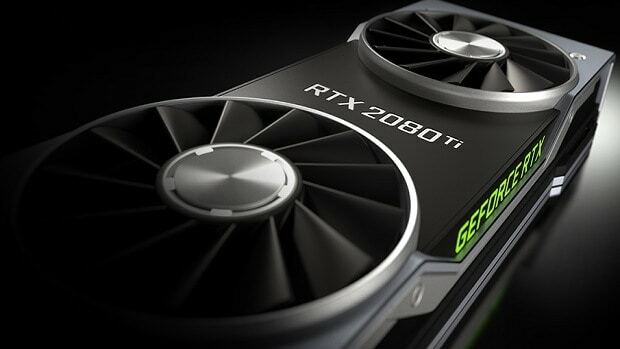 You no longer have to pay extra just to continue playing with friends. In addition, Battlepacks are being axed as well. Instead of randomized loot boxes, players unlock their goods through pure gameplay. The only items available through microtransactions are cosmetics, and even they are purchasable with in-game currency. Every player starts out with a special toolkit in Battlefield V that constructs defences on prescribed locations at the cost of resources. These fortifications come in several varieties such as sandbags, barbed wires, camouflage nettings, tank traps, and trenches. Entire buildings can be raised from ruins as well to defend objectives or halt enemy advancements. However, only the Support class can build offensive fortifications such as field cannons and machine gun nests. They are also much faster at building everything than the other three classes. 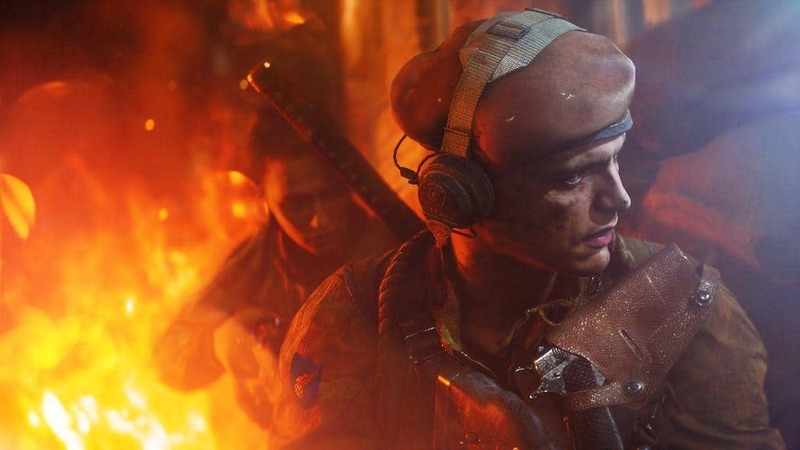 The traditional health regeneration and ammo hoarding systems undergo a massive change in Battlefield V that make it tougher for players to go Rambo. The health bars are now divided into multiple stages and players only regenerate their health up to the closest stage. They can never heal back to full life unless there are Medkits nearby, courtesy of the Medic class. As for ammo, there is going to be very little of that this time around. Every player starts out with just enough ammo for a few fights. They must continuously scavenge the battlefield for resupplies, sometimes forced to change weapons off nearby corpses. Every weapon features a unique recoil pattern in Battlefield V that needs to be learned through gameplay alone. There is also the matter of different penetration values for different bullet classes for various surfaces. In addition, visual recoil animations are no more. The skill-based approach further combines with fluid movement changes that open up new possibilities for gunplay. Players get the freedom to dive forward, backward, left and right but with a slight delay to prevent dolphin diving. They are also able to sprint while crouching, and burst out of windows to perform commando rolls. The spotting system, which has been staple to the franchise, more or less retires with Battlefield V. Players can no longer scan entire horizons from afar to identify a dozen enemy targets and highlight their positions on the map at the same time. They instead have to see something with their own eyes before taking aim. This can be by tracking suspicious movements through the environment such as twitching bushes or swaying grasslands, an indicative of the level of detail from DICE. Every single action in Battlefield V requires physical interaction with the environment. There is neither the abstract nor instant fulfillment that players are so used to. While healing previously meant just being near a Medkit, players must now walk right over the Medkit to trigger a character animation that picks it up and starts using it to fill empty health bars. In similar fashion, reviving someone means taking out a syringe, stabbing and then pulling them up to their feet to see if they are fine. These physical interactions are the same for everything else such as spotting, replenishing ammo, grabbing onto ledges, and more. They might seem annoying at first but are designed to promote strategical plays with allies. How Much Would You Pay For Star Citizen DLC? How About $27,000?